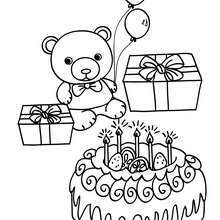 This Birthday cake teddy bear coloring page is very popular among the Hellokids fans. 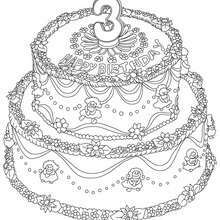 New coloring pages added all the time to Birthday cake coloring pages. Would you like to offer the most beautiful Birthday cake teddy bear coloring page to your friend? You will find lots of them in Birthday cake coloring pages.